Article of jewelry worn on the finger; it might have symbolic significance. 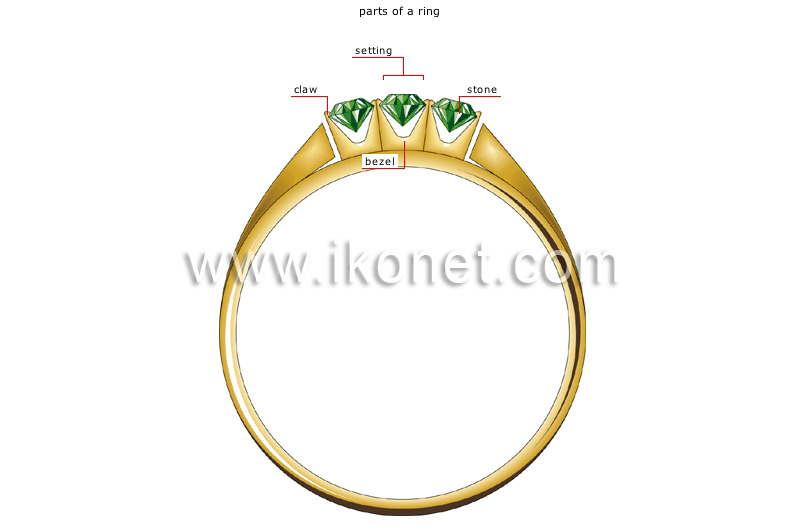 Single or multiple head of the ring in which the stone is held by claws. Crafted stone whose beauty, rarity and durability confer a certain value. There are three groups: precious, semiprecious and synthetic. Small metal hook bent over the stone to hold it in place. Part of the bezel surrounding and holding the stone.